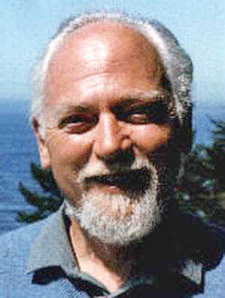 Today, Jan. 11, marks five years since the death of Robert Anton Wilson. I did not realize half a decade had passed until I received an email about the matter over the weekend. I launched this blog with the intention of doing my own little bit to help preserve and promote RAW's literary legacy, so perhaps five years after his death, we should take stock of how our efforts to make him part of the literary canon. Well, he certainly remains a presence. Almost all of his books remain in print. Only a few can be purchased as electronic editions, but this must surely change; there's no point for his family to leave money on the table. On the other hand, I don't sense a big revival. If a prominent critic or the reading public at large has "rediscovered" him, it has escaped my attention. I have noticed a hopeful sign. There seems to be many people on the Internet who love his writing and continue to talk about it. I've particularly noticed, lately, that many people on Twitter are RAW fans. (Many are easy to detect because they include the number "23" in their handle). It will be interesting to see if this decentralized, grassroots movement can keep his work alive. UPDATE: Michael Johnson beat me to it in the comments, but it's Robert Anton Wilson Week at Boing Boing. 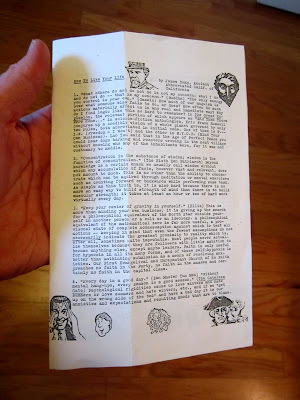 The week kicks off with a nice posting by the Web site's founder, Mark Frauenfelder.